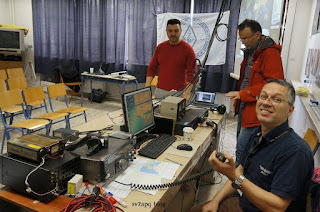 Amateur radio (also called ham radio) describes the use of radio frequency spectrum for purposes of non-commercial exchange of messages, wireless experimentation, self-training, private recreation, radiosport, contesting, and emergency communication. Μέσω ασυρμάτου, μαθητές, μίλησαν με αστροναύτες . Ενας Καθηγητής-Φυσικός και ερασιτέχνης αστρονόμος μου ζήτησε να μιλήσουν μαθητές του, με τον Διεθνή Διαστημικό Σταθμό (ISS / ZARYA). Μέσα στην μαυρίλα, της εποχής που ζούμε, θεώρησα ότι, τουλάχιστον τα παιδιά, πρέπει να έχουν όραμα. 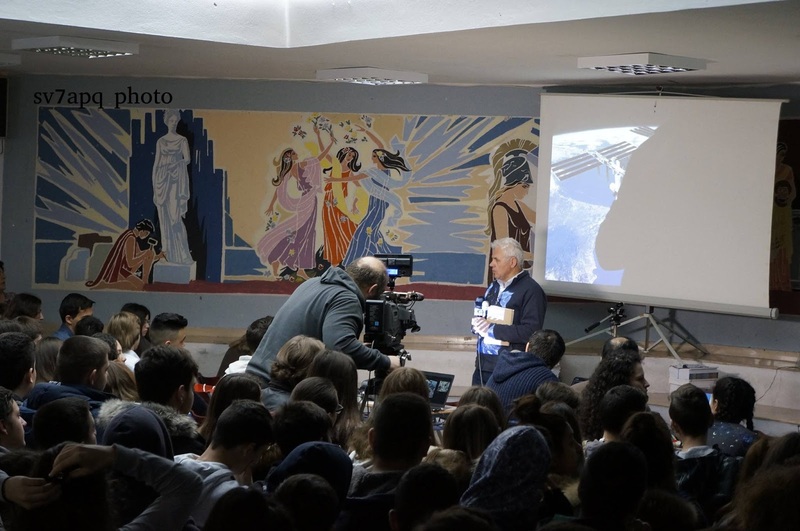 Yποβάλαμε αίτημα στην υπηρεσία ARISS της NASA με τις τεχνικές προδιαγραφές που ζητήσαν. Τρία χρόνια, περιμέναμε να 'ρθει η σειρά μας .. Τωρα έφτασε η ώρα . Στα μέσα Φεβρουαρίου 2017 θα μιλήσουν τα παιδιά μ' έναν αστροναύτη που θα περνά με ταχύτητα 7,5 χιλιομ/ δευτ. πάνω απο την περιοχή μας σε απόσταση πολλων εκατοντάδων χιλιομέτρων. Εδω περιγράφεται η τεχνική εξέλιξη των εργασιών μου. 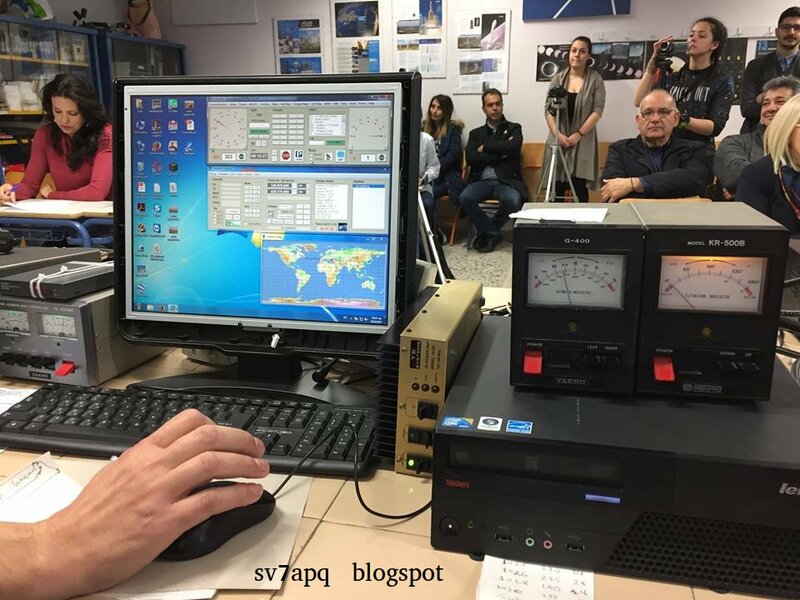 SV7APQ είναι το διεθνές διακριτικό αδειοδότησης μου εδω και 29 χρόνια. 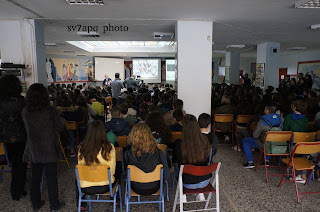 Successfully held today 10th March 2017, in the city of Komotini - in Thrace, Greece, direct VHF contact of 3rd junior's high school's pupils with the International Space Station's (ISS) astronaut Shane Kimbrough . Thanks those who helped me in this task. Event related, to give the children a sense of self confidence . The satisfaction treated children made me forget the fatigue. 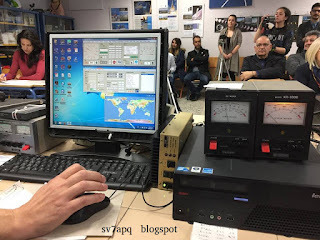 Event was interest to many radio friends, across mediterranean countries & more, expected to hear our contact. 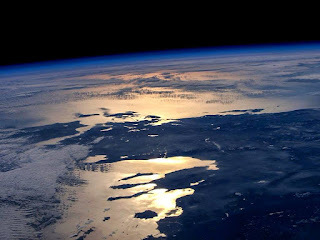 They sent me lot of videos receiving, even with handies, Shane (astronaut on ISS) transmitting . Ευχαριστώ τον κ. Πρασόπουλο που πήρε όλο το βάρος ολης της υπόθεσης (αυτός "τράβηξε πολύ κουπί"), ευχαριστώ τα μέλη του Συλλόγου Αστρονομίας Θράκης, την διεύθυνση του 3ου Γυμνασίου και τους λοιπούς συντελεστές . Την παλιά Διευθύντρια Κα Κερατσώ Γεωργιάδη η οποια υποστήριξε το πρόγραμμα, όταν όλα ήταν μόνον μια ιδέα και πρέπει να την τιμήσουμε γι αυτό. Και τον Παπάζογλου Κων/νο διευθυντή του Γυμνασίου που επι δικής του υπηρεσίας υλοποιήθηκε το κορυφαίο γεγονός. Λυπάμαι ΠΟΛΥ για τα παιδιά της αρχικής τάξης με την οποία δουλεψαμε το 2014. Η τάξη αποφοίτησε και δεν πρόλαβαν να κάνουν αυτά τα παιδιά, την επαφή με τον ISS. Πήγε πολύ πίσω η επαφή μας γιατί η αίτηση μας έγινε σε μια στιγμή που εκκρεμούσαν πολλές επαφές. Τέλος την οικογένεια του κ. Πρασόπουλου και την σύζυγό μου που μας στήρηξαν και στάθηκαν σε όσα αφήσαμε πίσω μας, για να γίνει η δουλειά αυτή. Ολα έγιναν για καταλάβουν τα παιδιά ότι ολα μπορούν να γίνουν αρκεί να μην σταματούν να προσπαθούν να φτάσουν τα όνειρά τους στην Ελλάδα της Κρίσης. Οτι εμείς οι μικροί και οι ασήμαντοι πρέπει να διαχειριστούμε την ζωή μας ότι κι αν κάνουν "οι μεγάλοι" . Το μεγάλο μυστικό μου είναι ότι όλα τα τεχνικά ήταν εύκολα & ευχάριστα. Ο μόνος κίνδυνος μέχρι την τελευταία στιγμή, ήταν τυχόν αστοχία ανθρωπίνου παράγοντα. (Μια εβδομάδα πριν απο την δική μας επαφή ένα Αμερικανικό σχολείο απέτυχε, επειδή οι αστροναύτες δεν βάλανε την σωστή συχνότητα split). Κουραστικά ήταν, τα υπερβολικά πράγματα που ζητά η ARISS ως προδιαγραφές, που πρέπει να πληρεί κάποιος. Κι εγω τις πραγματοποίησα όπως ζητήθηκαν ενώ οι περισσότεροι δεν το κάνουν. Εβαλα με τη βοηθεια των Ραδ/χνων, ένα ακόμα σύνολο συσκευών και κεραιών περιστρεφόμενων σε 3 άξονες ετοιμο για επιτυχή επικοινωνία σε περίπτωση !! αστοχίας του πρώτου. Το video παρακάτω απο το στήσιμο κεραιών δείτε το . Ειναι ενα μικρο μερος του συνολου της δουλειάς αλλά ετσι θα καταλαβαιτε το συνολο της, Μονον αυτο με τις κεραιες εγινε 6 φορες κι εσεις θα δειτε την μία. The main reason for this act, is to encourage Hellenic (greek) pupils (15 y.o. ), to believe that they can reach where they wish. Hi! 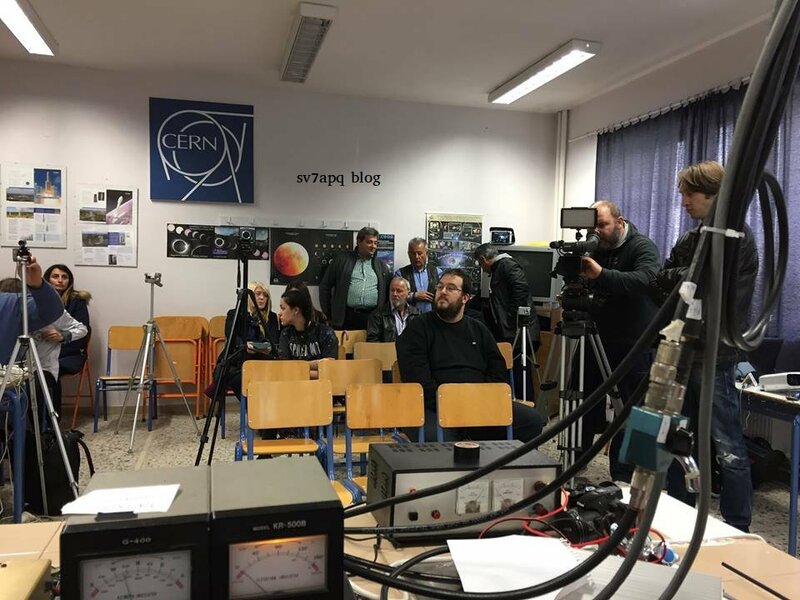 from Thrace, Hellas (greece), Homeland of Democritus, influential Ancient Greek philosopher, primarily remembered today, for his formulation of an atomic theory of the universe. The crisis in Greece, has angered me. We need change the old staff. Our future is young people. They may start to believe they can do it. On the other hand as an amateur radio enthusiast, i have the obligation, to bring young people close to communications and physics. I 'm not at all enthusiastic about the lack of "freedom" communicating through third parties, as smart mobile phones, tablets and p.c.'s . We are under control and monitoring our profiles on presidencies everywhere, and by that, violates our privacy and freedom of choice (with ads e.t.c.). I think, that the violence we live in, came on, from the "freedom" to see every day violence & roughness on TV, cinema, PC m-media, games e.t.c. . The independent communications on amateur radio, are out of the control of a company. Radio amateur must keep this independence. We do that on Emergency . 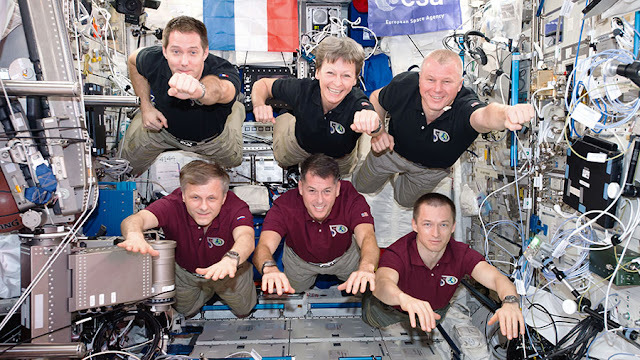 So the idea was: let children speak to Astronauts. They can do. We can do. By that, they will learn some physics, as Electromagnetic radiation, RF attenuation, antennas, Cybernetics, Doppler effect e.t.c. But mainly they will start to believe to theirselfs . Using the good informations we can reach on Internet, and progressively, without big impact on our psychology . 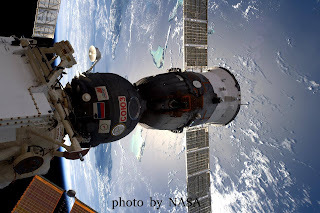 ISS or ZARYA satellite represents the progress of our civilization. It is a satellite, that carries humans, who experiment with life in space. I submitted the technical proposal to the ARISS in accordance with the specifications defined by the ARISS website. I had all the equipment which I promised . Then i started the tests. I did reception tests of the Space Station and understood that the signals were satisfactory on the VHF frequency. I found destroyed cross JAYBEAB antenna and remade it from total zero . Then I asked to see the children and I met them to explain the technical aspects of communication Doppler effect, rf radiation FM, SSB modes e.t.c.. 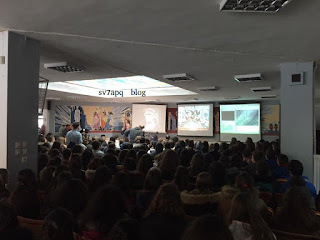 The children were very interested when i explained, on what principles of science will build our communication connection . I explained the technical data and difficulties. Then the children trained to ARISS contact practice with me and more with Mr. Prasopoulos who had frequent contact with them, as their teacher. We made contact simulations under conditions effective measuring the time according to which would have to finish the whole contact . Datum of real contact was delayed to take a date and children graduated. I was sad about that. So we repeated the same process with other children. We made three more simulations last month with actual emissions to another city where a radio amateur simulated astronaut. So we became too short to have a safety span to complete the project if something goes wrong. From my side I did prepared the equipment in real conditions in order to be sure I have excellent reception and transmission. Because the test facility with Space Station was unavailable. I did tests with other satellites with much lower emission strengths and on my part, lower rf power (micro cubes) . I was sure, that my set up worked very well. 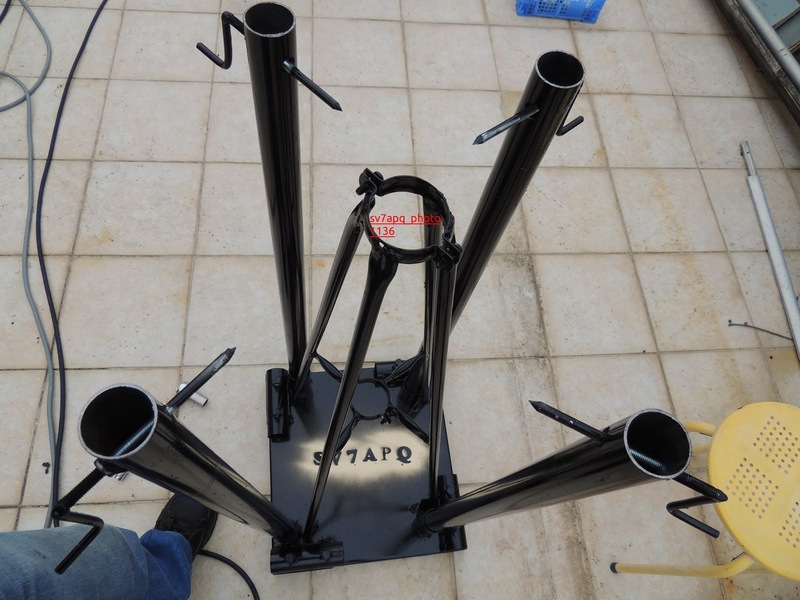 Because the gain of the circular polarization antenna JAYBEAM 10X10 having gain 12 dbi in rotation system of YAESU G 5500 with PC control. 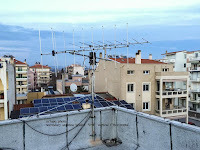 I prepared a second antenna system with full two antennas Cushcraft 9 elem system. 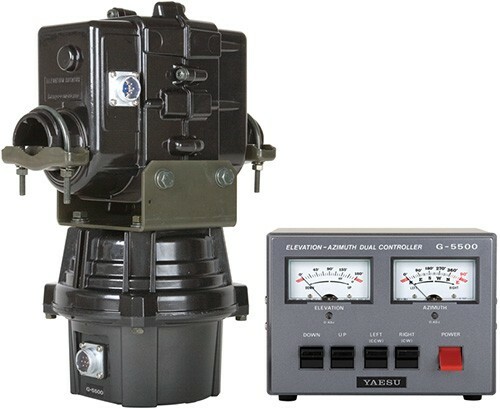 but linear polarization and with rotor YAESU G 400 & YAESU G 500. By using the device No. No. 1 KENWOOD TS 790 E and No. 2 KENWOOD TM 751 and amplifiers RF No. 200 W and No. 2 100 Watt rf power. 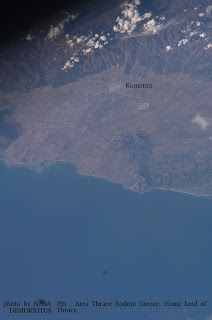 With these technical data concerned, only an accidental failure at my own side in terms or human factor and to the International Space Station. Unpleasant postponements on connection dates was made. But very often I followed my check protocol to control overall functionality, until the last moment. The whole case wasn't new for me. This kind of communication I had done before as I m 28 years active radio amateur. 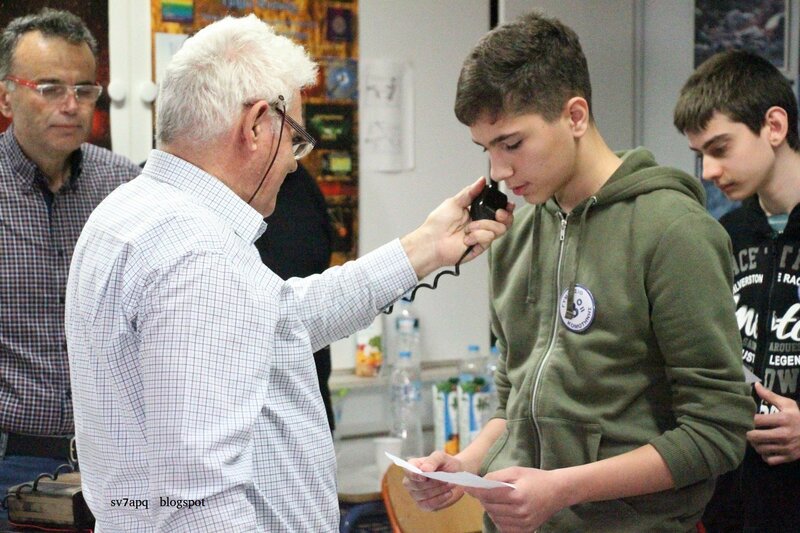 The most interesting for me as well as the main reason to start the project was to make children more confident not to the project but to their future. Greece is in the middle of a deep crisis. Most families has financial problems because of rising unemployment, income cuts and completely unreasonable increase of taxes. The survival costs are unbearable. Thus children daily receive a lot of information which show them that the family and country's future and their own has no perspectives . They are under press . Media every day saying about children who have been educated but have no job. I noticed that our children tend to resignation and pessimism. Doing this project we gave them hope that together we can achieve and everyone must continue to strive in any target. That, in my aspect, was an essential part of our process, that the children gain confidence and commitment to goals. To be not consumed in unnecessary interests. That they have every day at the school to pay attention to fundamentals. Every day at school projects underlying the further development of their capabilities. That was my purpose and when the project achieved, they showed a great sense of optimism inside them. Now the excitement has gripped them and should not extinguished it. NOW they MUST CONTINUE to other targets. Παρακάτω περιγράφεται ο εξοπλισμός και οι δοκιμές που έκανα για να φτάσω στην κατασκευή και σύνθεση των υλικών με τα οποία θα γίνει η επαφή με τον σταθμό που τρέχει με 7,5 χιλιομ. το δευτερόλεπτο. Κεραίες με σύστημα παρακολούθησης οδηγούμενο απο Υπολογιστή σημαδεύει συνέχεια τον σταθμό που περνάει σε "οπτική επαφή" πανω απο την Ελλάδα κάθε 'μέρα, 6 φορές. Η δοκιμασία μας είναι να μιλήσουν τα παιδιά απρόσκοπτα με εναν αστροναύτη κατα την διάρκεια ενός περάσματος που διαρκεί 6-7 λεπτά και διασχίζει απο την μια μεριά στην άλλη τον ουράνιο θόλο. I need a nice transceiver with good characteristics at the frond end, as Gas Fet semiconductors . And some power on vhf, as 100 watts. Then i need good coaxial lines . And antennas i always give crucial care. 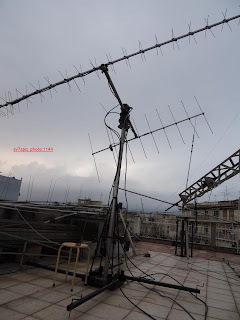 I'm radio amateur 29 years, so it was easy for me, to prepare 2 RTX & ANT separated systems. W'll use the following antenna systems with helical & Linear polarization . 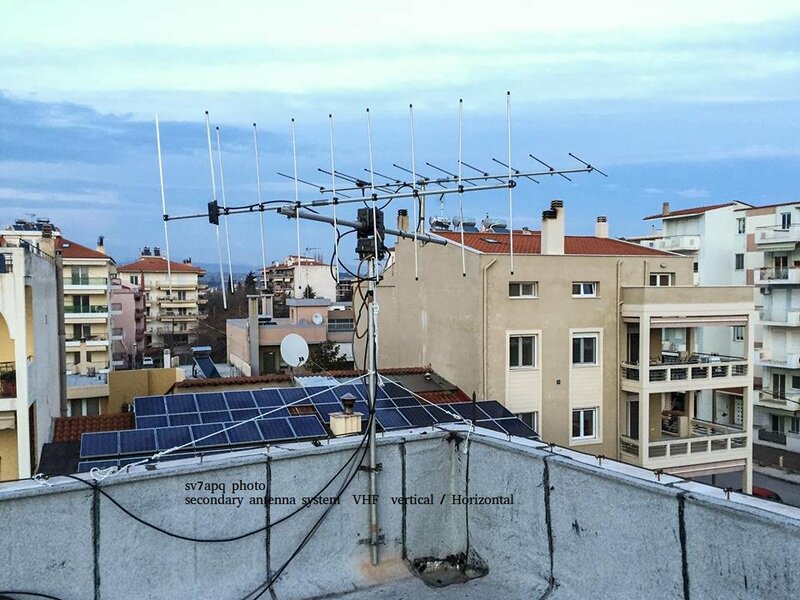 Antenna: Jaybeam VHF cross 10x10 . Equipment will be used . ICOM 821, RF Linears for VHS frequencies DAIWA & TE, preamplifier SSB electronics , RF Cables MIL-C-17/163, YAESU Rotators G5500 and. 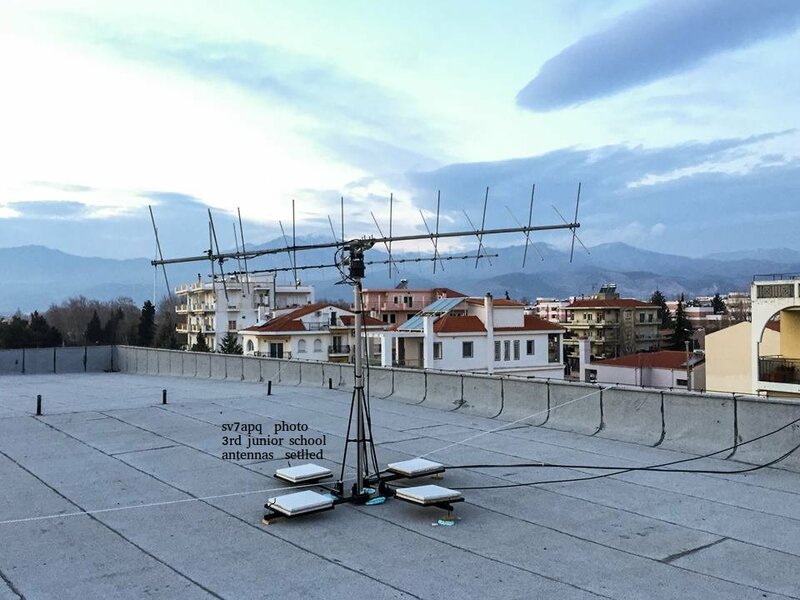 G-500 + G-400 for the emergency alternative system with more antennas . Rain and RFI problems from power lines. Asked company for help. Resolved mostly . Also RFI from Chinese Camera. Ανεκτίμητη φιλία Ο Γιάννης Κωνσταντινίδης SV7AFF, συνεχώς 30 χρόνια κοντά. Φτιάχνει επιμελώς τα καλώδια ραδιοσυχνοτήτων. Οτι βλέπετε δεν ειναι μόνον δική μου προσπάθεια, Πολλοί ικανοί Ραδιοερασιτέχνες σε ολη την Ελλάδα, μπορούν εύκολα, να κάνουν το ίδιο αλλά και βοηθούν σε έκτακτες ανάγκες. ΠΕΡΙΓΡΑΦΗ: Τοποθετήθηκαν δυο διπλά ανεξάρτητα μεταξύ τους συστήματα ασυρμάτων στις περιοχές συχνοτήτων των VHF και UHF . Και στην ταράτσα του σχολείου, δυο ανεξαρτητοι ιστοι με κατευθυνόμενες κεραίες, Στον έναν ιστό αυτόματα παρακολουθεί το συστημα κεραιών καθώς αλλάζει συνεχώς θεση ο δορυφόρος, και στον άλλο η οδήγηση γίνεται με χειρισμούς δύο αξώνων κίνησης απο Ραδιοερασιτέχνες. Οι κεραίες εχουν αυξημένη ικανότητα λήψης και εκπομπής προς μια κατευθυνση, ώστε να ακουμε πολύ χαμηλα σηματα και με αυξημένο το δικό μας πεδίο προς τον ουρανό. Να θυμάστε κάτι : Πολλές φορές μας ενοχλούν τα παράσιτα απο πάρα πολλές συσκευές που χρησιμοποιείτε σπίτι σας. Εσεις δεν το καταλαβαίνετε αλλά εκπέμπουν. Σε μας αυτό έρχετε σαν θόρυβος - σκουπίδι και πολλές φορές μας ακυρώνει την προσπάθεια. Τα τελευταια χρόνια αυτό έχει γίνει πολύ έντονο. Και να θυμάστε οτι το κινητό που βαζετε στο αυτί σας εκπέμπει στο σώμα σας τουλάχιστον 5.000 φορες περισσότερη ενέργεια απο την κεραία της γειτωνιάς σας επειδη ειναι πολύ κοντα στο σώμα σας. Ευτυχώς δεν εχει δείξει ότι είναι ιδιαίτερα επικίνδυνο απο τις μέχρι τώρα επιστημονικές έρευνες. Τις τελευταιες μέρες πριν την επαφή άρχησε βροχή. Παράσιτα στους δεκτες. Επικοινωνια με την ΔΕΗ και ευγενικό αίτημα παροχής έκτακτης υπηρεσίας. Ηρθαν και μας γλύτωσαν απο κάποια παράσιτα. 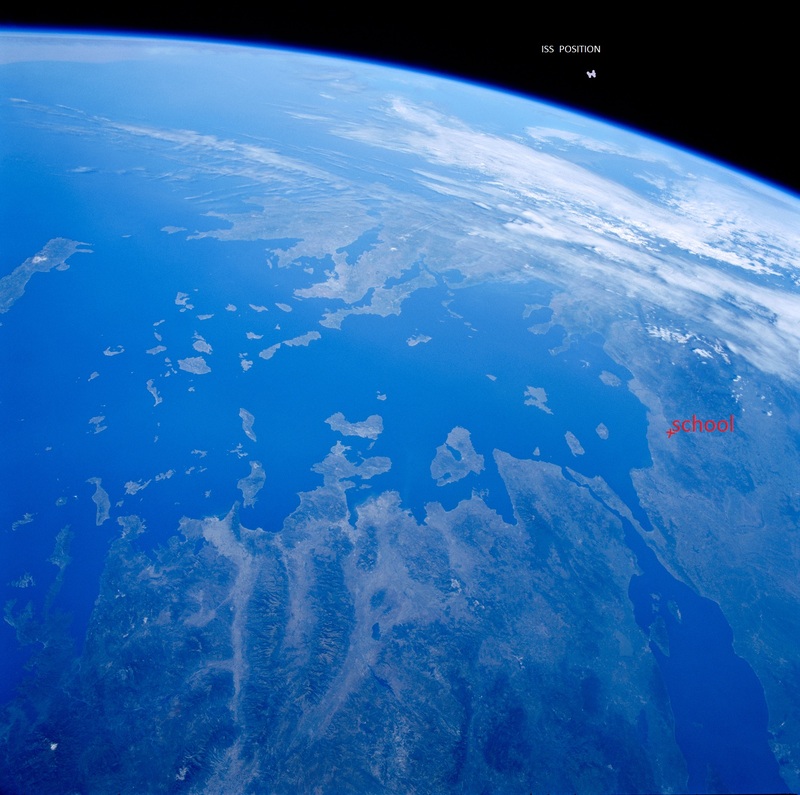 Satellite's speed is 7,5 Km/ sec That mean 7 time higher velocity than a real quick bullet. Η ταχυτητα του δορυφορου ειναι 7.660 μέτρα το ΔΕΥΤΕΤΟΛΕΠΤΟ. Η ταχυτητα μιας απο τις ποιο γρηγορες σφαιρες είιναι 1.000 μετρα / δευτερ. Μερικοι αυτο δεν το καταλαβαίνουν αμέσως οταν το λές. Κι αυτο για μας τους τεχνικούς σημαίνει πολλά πράγματα σε doppler effect / freq. , rotators e.t.c..
Τις τελευταίες μέρες έχω την βοήθεια φίλων - παλαιών Ραδιοερασιτεχνών με τους οποίους βαδίζω πολλα χρόνια μαζι, όπως ο Κωνσταντινίδης Γιάννης SV7AFF, Χαραλ. 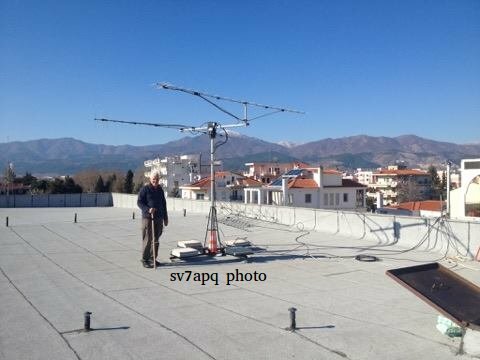 Πλάτσης SV7BAY και Παπαδοπουλος Πασχαλης SV7APS. 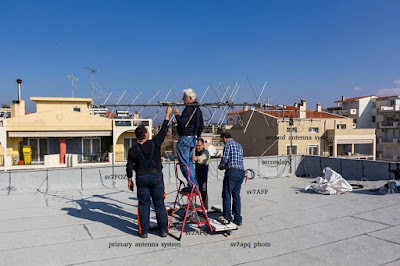 Και των μελών του συλλόγου, Μαρινελη Κώστα SV7ΒΟΤ, Σάκη Βαχτσεβάνη SV7JWS, Χρήστου Δεληγιώργη SV7BVZ και Κωνσταντίνου Τζόγια SV7FOZ , με εργασίες, δοκιμές και υλικά, βοήθησαν στον εμπλουτισμό της εγκατάστασης με επιπλέον συσκευές οι οποίες τέθηκαν σε ετοιμότητα για κάθε έκτακτη ανάγκη που μπορεί να προκείψει ενδεχομένως λογω απρόβλετης αστοχίας. Το πνεύμα του Ραδιοερασιτέχνη σημαίνει οτι ακόμα και ρεύμα να μην εχουμε θα δουλέψουμε με UPS . Εγιναν πολλές δοκιμές, με διαφορετικές πολώσεις κεραιών. As the date changed started improvements. I made remote access controlling the whole system from my home. That's "the HAM spirit" . Επειδή είμαι ένας εργαζόμενος κι έπρεπε μερικα τεστ να γίνονται από μακρυά λογω φορτου εργασιας και εκτακτων ταξιδιών. Αυτο απο πάνω ειναι δοκιμες του προγραμματος και των κεραιών σε πραγματικό χρόνο απο το σπίτι μου. Τα πράγματα ειναι στο σχολείο. Mute the phone pic at the tab, if you like to listen the Youtube Κλείστε την Μουσική (οσοι εχουν firefox) πατώντας πάνω στο μεγάφωνο στο "κουτάκι" της ιστοσελίδας αν σας ενοχλεί ή θελετε να ακούσετε το video. 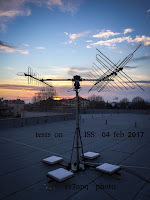 As NASA not let any testing contact, i made several other tests with satellites on very lower signals, tasting my system in reception and transmission. Also i made a test protocol i followed to the last hour before contact testing all parameters i.e . quality test RX, TX (swr, DC power), computer communication to the rotators and rotators ends verifications. Aegean archipelago and Peloponesse as seen from ISS. In my mind this photo is an illusion . Mankind would have been different if it had not been destroyed that culture by the volcano of Santorini . the culture of that archipelago was very advanced for its time. I do not talk about Hellenic civilization. I m talking about Aegean ... 3300 -2000 bce. After waiting 3 years. They changed our datum more than two times. 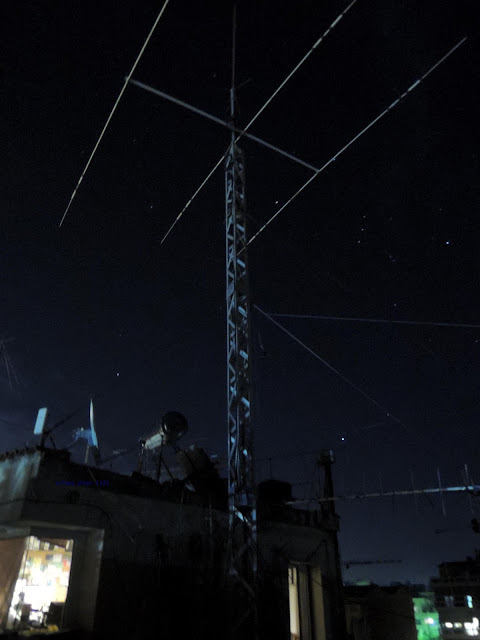 Feb 15 They say two days before NO you must change the operational frequency to other BAND!! 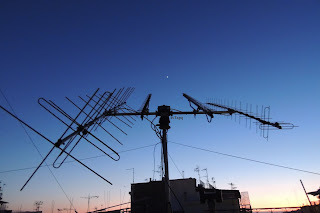 That mean change of circular polarized antennas linears preams gears e.t.c. 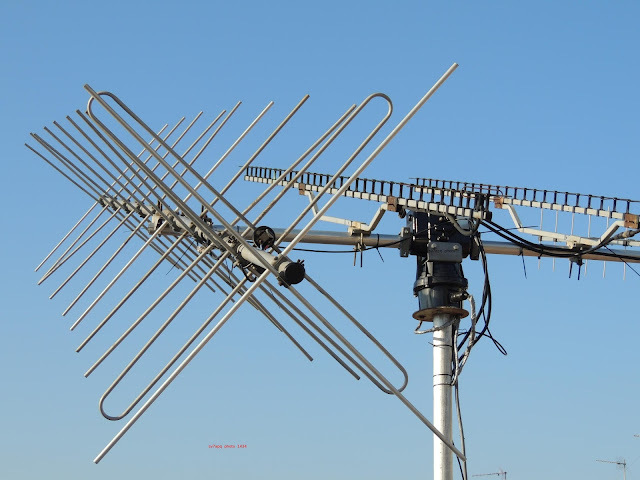 UHF antenna setup for ISS testing 21 ele TONNA P.N.220922. At this picture you may see that we tried to change band. As Kenwood TM710 on Russian module, wasn't available for the contact at February date. Vertical & Horizontal setup . During a pass over Italy speaking astronaut with a high school students on VHF. We listen only astronaut. 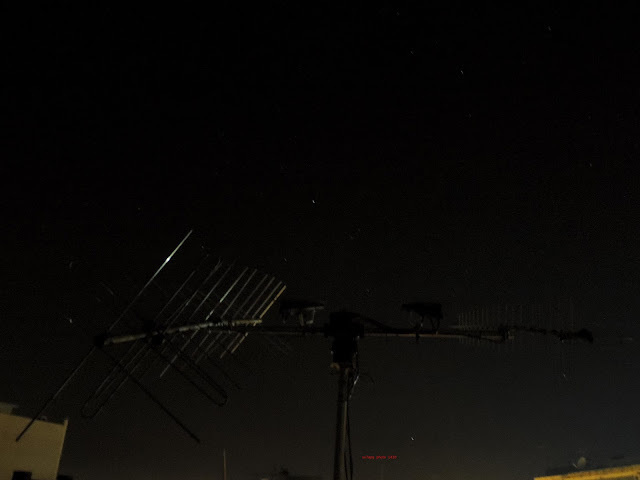 The ground emission not listened due to the VHF signals don't reflect at the ionosphere. σβήστε την μουσική απο την μπάρα της ιστοσελίδας επάνω για να ακούσετε το video. Ετοιμάζεται στο 3ο Γυμνάσιο Κομοτηνής. 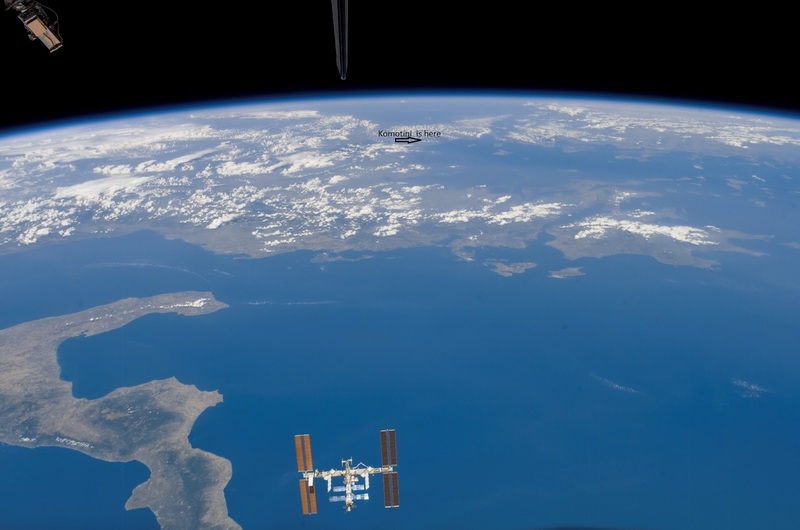 Διεθνή Διαστημικό Σταθμό (ΔΔΣ ή ISS). (έτος 2013) Βαρέθηκα να ακούω στην Ελληνική τηλεόραση ότι φεύγουν τα παιδιά μας στο εξωτερικό να βρούνε την τύχη τους και ότι εκεί, πετυχαίνουν. Με έσπρωξε η ανάγκη να πολεμήσω την απαισιοδοξία που κυριεύει τα παιδιά μας. Αποφάσισα να κάνω απλό στα μάτια τους, το να μιλήσουν με τους αστροναύτες. Ήθελα να τους δείξω ότι δεν γίνονται όλα τα όμορφα στο εξωτερικό. Δεν χρειάζεται να φύγουν τα παιδιά μας από την Ελλάδα. Αρκεί εμείς να αλλάξουμε νοοτροπία. Να μας επιτραπεί να παράγουμε οτι χρειαζόμαστε. 7 χρονια τωρα μας το απαγορεύουν με αβάσταχτη φορολογία. Έτσι αποφάσισα να απαντήσω καταφατικά στην πρόσκληση που μου έκανε ο Δημήτρης Πρασόπουλος, ένας εμπνευσμένος καθηγητής τους - φυσικός, που έκανε τα παιδιά να αγαπήσουν την Φυσική.. Και έτσι άρχισε να τρέχει το πρόγραμμα "Επικοινωνία με τον Διεθνή Διαστημικό Σταθμό". Εκπαιδευτικός Στόχος : Να καταλάβουν τι είναι ασύρματες επικοινωνίες. Πως γίνονται αυτές. Ποια είναι τα προβλήματά τους . Τι φαινόμενα υπάρχουν από αυτά που μαθαίνουν στην Φυσική. Δυσκολίες: Η επικοινωνία με έναν δορυφόρο που τρέχει με τεράστια ταχύτητα και κάθε μιάμιση ώρα κάνει μια γήινη περιστροφή σε ύψος 400 χιλιομέτρων (μ.ο.) . Η ταχύτητά του είναι 7,66 χιλιόμετρα το δευτερόλεπτο. Κατά συνέπεια η συχνότητα ευκρινούς επικοινωνίας σε σχέση με τον σταθμό επικοινωνίας αλλοιώνεται ανάλογα με την σχετική θέση πομπού - δέκτη. 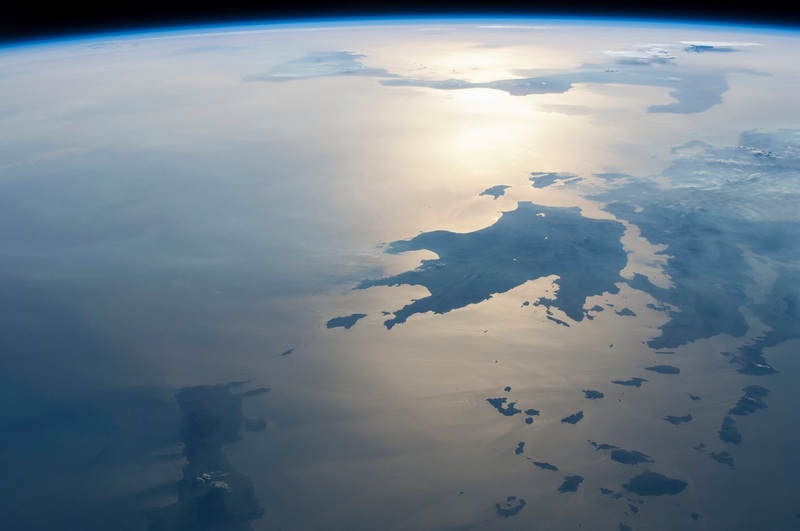 Το φαινόμενο λέγεται doppler effect και αν το κατανοήσουν στην πράξη πιστεύω ότι θα το κρατήσουν στο μυαλό τους για πάντα. Μετά έπρεπε να λύσουμε τα τεχνικά θέματα : 1.Συσκευές ασυρμάτου . Αυτό είναι εύκολο γιατί υπάρχουν σε έναν Ραδιοερασιτεχνικό σταθμό. 2. Κεραίες υπάρχουν αλλά το θέμα είναι ότι ο δορυφόρος κινείται γρήγορα και πρέπει να μετακινούνται ώστε να τον σκοπεύουν. 3. Η κίνηση δεν είναι οριζόντια γι αυτό οι κεραίες θα πρέπει να μετακινούνται σε τρεις άξονες και να σαρώνουν όλον τον ουράνιο θόλο. 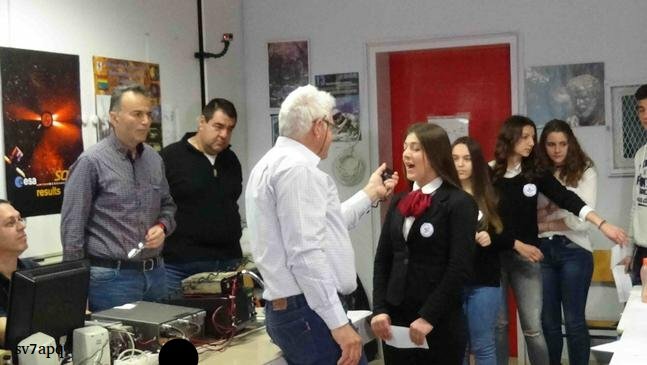 Όλα καλά μέχρι που η ΝASA μας ζήτησε αυτή την δουλειά να την κάνει αυτόματα ένας Υπολογιστής, μαζί με ρότορες και να μην χειριζόμαστε εμείς τους ρότορες κατεύθυνσης κεραιών με τα χέρια μας. Αυτό απαιτεί να πάρουμε ρότορες που συνδέονται και επικοινωνούν με τον υπολογιστή και όχι αυτούς που είχα . Άλλο πρόβλημα εμφανίσθηκε όταν έμαθα ότι η συσκευή ασυρμάτου του ISS δεν είναι σε καλή κατάσταση και οι επικοινωνίες γίνονται με μια φορητή συσκευή και με μικρή ισχύ και κεραία . Άλλη μια καινούργια πρόκληση αυτή . Πρέπει να κάνουμε ευαίσθητη την λήψη μας και ισχυρή την εκπομπή μας έξω από τις προδιαγραφές των υπαρχόντων συσκευών. Όταν άρχισα να ψάχνω συσκευή για να συνδέσω τον υπολογιστή με τους ρότορες περιστροφής κεραιών τα βρήκα σκούρα, γιατι ήταν πανάκριβη. Έτσι αποφάσισα να κάνω την συσκευή με αγορά υλικών . Με Ραδιοερασιτεχνικό πνεύμα άρχισα το ψάξιμο στο διαδίκτυο να βρω φθηνή λύση. Βρήκα, αλλά οι τιμές των εξαρτημάτων στην Ελλάδα ήταν και αυτές ακριβές για το δικό μου πορτοφόλι ή δεν υπήρχαν. Έτσι παρήγγειλα από Κίνα ηλεκτρονικά υλικά σε τιμές κατω των 10 ευρώ. Η μεγάλη δοκιμασία είναι ότι κατά την επικοινωνία με τους αστροναύτες, πρέπει όλα να γίνουν μέσα σε 5-6 λεπτά . Τόσο κάνει ο δορυφόρος να εμφανιστεί στον ορίζοντα να περάσει από πάνω μας και εξαφανιστεί στην απέναντι πλευρά του ορίζοντα . Πρέπει λοιπόν και τα παιδιά να προσαρμοσθούν ώστε μετέχοντας όσα περισσότερα γίνεται, να μπορέσουν να υποβάλουν μια τουλάχιστον ερώτηση στον αστροναύτη και να λάβουν την απάντησή του. Το καλύτερο μέρος της δουλειάς για μένα, είναι η συνεργασία με τα παιδιά. Πρέπει να τους δώσουμε την εικόνα, του τι συμβαίνει στον ISS και πως λειτουργούν οι επικοινωνίες μας. Να τους κάνουμε να αισθάνονται άνετα με αυτό που θα κάνουν. Να αποκτήσουν αυτοπεποίθηση οτι στην ζωή τους, έχουν μπροστά τους το απίθανο και μπορούν αυτά τα ίδια παιδιά να προχωρήσουν και να φτάσουν τα όνειρά τους. Αυτός είναι ο δίκος μου στόχος. Ετσι, προετοιμάζουμε τα παιδιά με εξομοίωση των πραγματικών συνθηκών συνομιλίας εδω και καιρό. Κάπιοι συνάδελφοι μου πρότειναν βοήθεια σήμερα ετος 2014. Τους ευχαριστώ και του λέγω τα εξής. Βοήθεια θέλω, τώρα που προετοιμάζομαι, οχι τις τελευταίες ημέρες. Την τελευταίες ημέρες θα είμαι έτοιμος και θα έχω κοντά μου κάποιους από εσάς. Υπάρχει ανάγκη για ένα interface για YAESU G5500 οχι τις τελευταίες μέρες, αλλά απο τώρα (2015) για δοκιμές ώστε να είμαι σίγουρος. 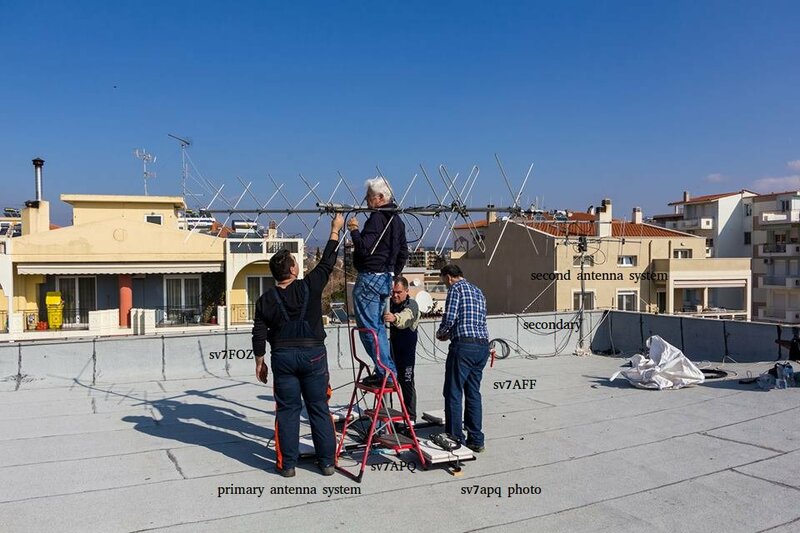 Χρειάζομαι δύο cross yagi vhf uhf με κυκλική πόλωση διότι δεν με ικανοποιούν αυτές που έχω. Εν τω μεταξύ (2014), δουλεύω το καθε στάδιο . Η σελίδα θα εμπλουτίζεται Κυριακές βράδυ με την δουλειά που έγινε το Σαββατοκύριακο, Τις άλλες ημέρες εργασία επιβίωσης μόνον (2016). Ο πολύς κόσμος δεν ξέρει τι είναι Ραδιοερασιτέχνης. Νομίζει οτι είναι αυτοί που κάνουν ραδιοσταθμούς και βάζουν τραγούδια. Είναι άνθρωποι που αγαπούν την τεχνολογία και κάνουν πολλά με τα χέρια τους και φθηνά. Ερασιτέχνης σημαίνει ΕΡΑΣΤΗΣ της ΤΕΧΝΗΣ . Δηλαδή δεν λαμβάνει οικονομική αμοιβή απο όσα κάνει. Ράδιο: σημαίνει συσκευή λήψεων και εκπομπών καθε ειδους πληροφορίας. Αυτά μπορούν πολλοί να τα κάνουν σήμερα και καλύτερα απο εμένα. Πρέπει να δώσουμε στα παιδιά μας γνώσεις, ώστε να κατανοήσουν την τεχνολογία και όχι να προβληθούμε εμείς. Είναι προτιμότερο να κατανοήσουν τον επεξεργαστή και την Ραδιοσυχνότητα από το να είναι αποκλειστικοί χρήστες smart phones. Πρέπει να γίνουμε σεμνότεροι και πιο ευγενικοί οταν συνομιλούμε και να δώσουμε στην κοινωνία λίγο απο την θέληση μας για μάθηση. Αλλα και χρήση εναλλακτικών επικοινωνιών όταν συμβεί έκτακτη κατάσταση και διακοπούν οι άλλες αναγκέες επικοινωνίες . Γι αυτό, περιμένω απο τους συλλόγους να στραφούν στα σχολεία και να "δώσουν κολλητήρι" στα παιδιά . Η κοινωνική συνεισφορά του Ραδιοερασιτέχνη είναι αυτή και οι έκτακτες ανάγκες . Οι κεραίες του ISS και η συσκευή με την οποία θα μιλήσουμε μαζί τους. Η "φτωχή" συσκευή στο Αμερικανικό τμήμα. Μικρή ισχύς !! So we wait for the Rendezvous with havens. I realized that some are more equal than us who were equal to them. For example when the manager was an Italian. 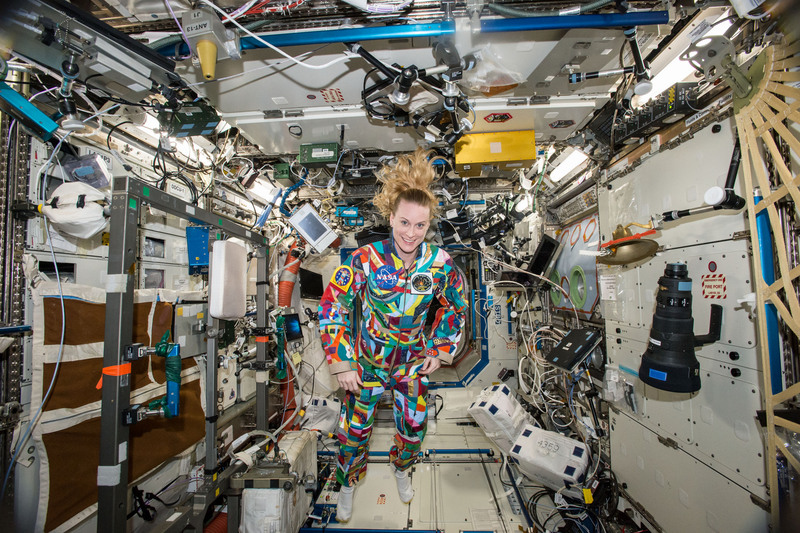 Astronaut was Italian. the Italian schools had priority over us . Even when their number were later than our. We wait . We lost the children. They went to high school . But came other children. Is ask myself if the children of the first group who trained with me feel my dissatisfaction for the delay ? I promised them to speak to astronauts . I failed. I hope they will be with us that day. 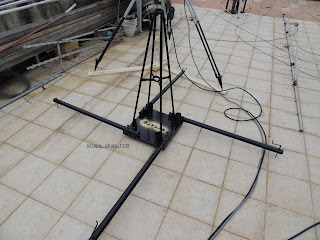 Preparation of the antenna satellite tracking system. ARISS asked us to have automatic antenna tracking to be selected for the project. That wasn't my choise . I found some new tools finally, decide to use YAESU G5500 - YAESU GS232B and some software. System is ready for use. 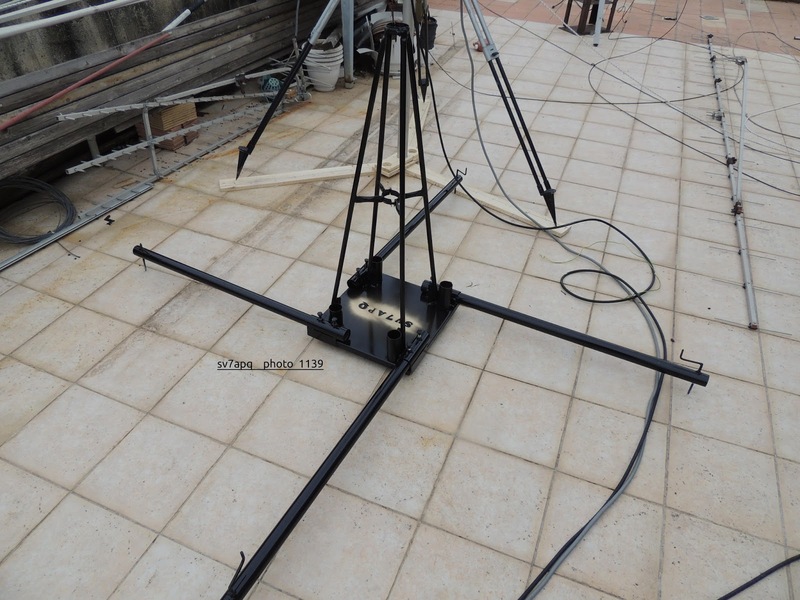 My friend Kostas make for me a nice antenna base that may deploy where i like ! Η βοήθεια είρθε απο τον Κώστα Τζόγια. Ευχαριστώ !! 2. Next sub-plan is the support of the antenna system at the school . 5. 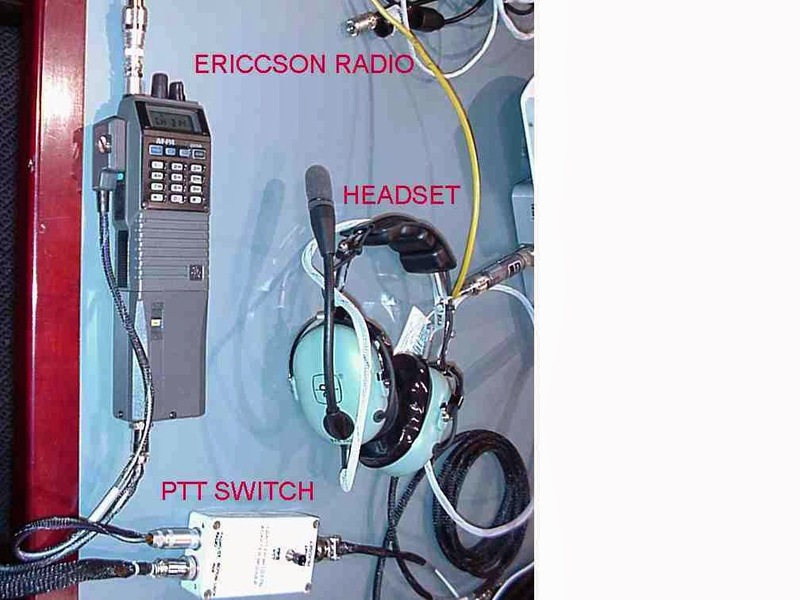 Main Receiver Transmitter, microphones , phones, RF preamplifier, and RF amplifier . 6. Test, Tests, Tests, Rf Compatibility of the sub systems. 6 Alternative System, all 1-6 the above again . Συνάδελφε εξαιρετική δουλειά και τα μπράβο που σου αξίζουν δεν είναι αρκετά. 73 DE SV2RMK.